Yesterday my friend Michelle and I organized an event called the #MetLifeTakeover where we bought and sold 760 tickets to the Miami Dolphins Vs. New York Jets game at MetLife Stadium in New Jersey. 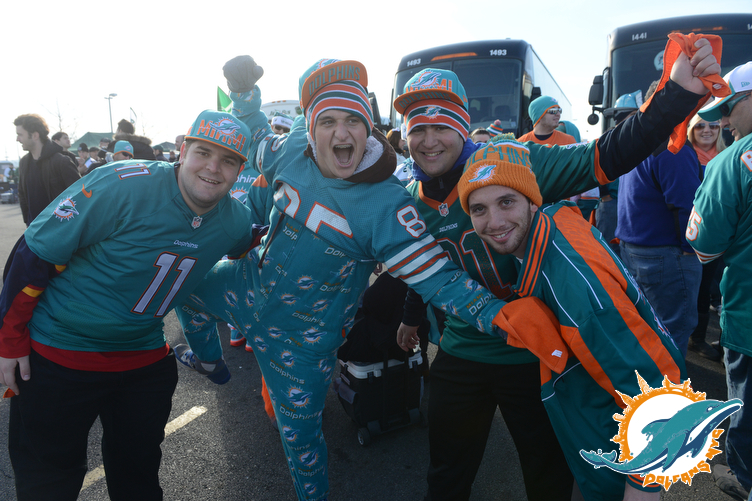 We run Dolfans NYC, the New York Miami Dolphins fan club. I mention this pretty regularly during football season, but you might not realize how big this thing we do is. 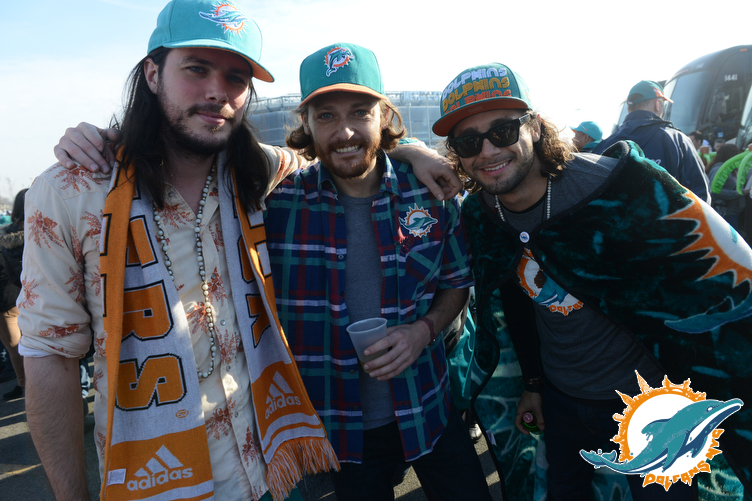 During yesterday’s game you could hear us on TV and Marv Albert mentioned us when the Dolphins scored their first TD. 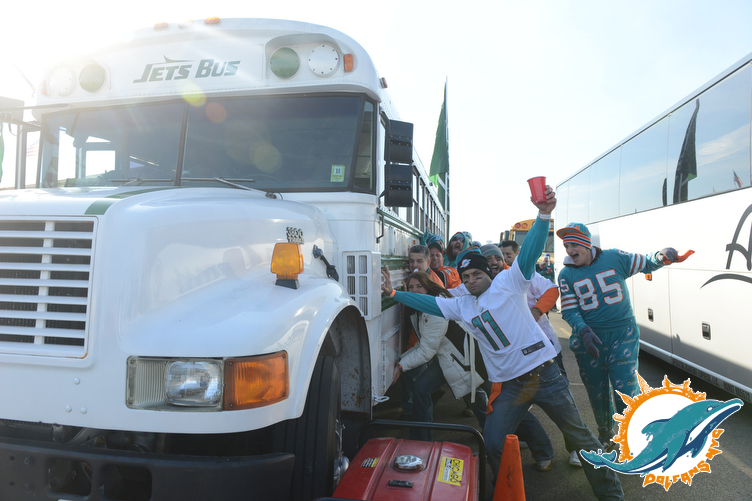 After the Dolphins put the game out of hand most of the Jets left the stadium and all that was left was two sections in the nose bleeds and a few other Dolphins fans scattered throughout the stadium. After the game Dolphins player after player mentioned us on Twitter and even the coach gave some love on his radio show to the Dolphins fans in the “cheap seats” who made the team feel like they were playing a home game. Being able to actually impact a game like that was a really amazing moment and yesterday was one of the most amazing experiences of my life. We even got the hashtag #MetLifeTakeover trending! 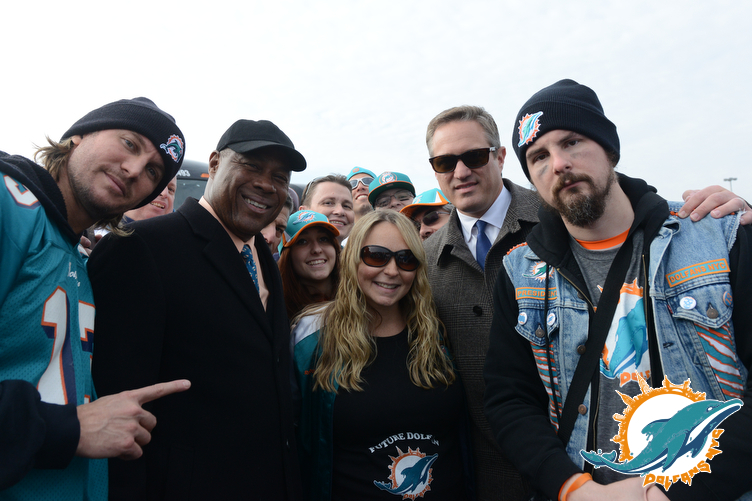 I am so proud of my Dolfans NYC community and all the Dolphins fans that joined us from around the northeast. But before all that happened we organized a pretty sweet tailgate party. We had the whole thing catered and PBR and Sailor Jerry provided the booze for the pregame festivities. 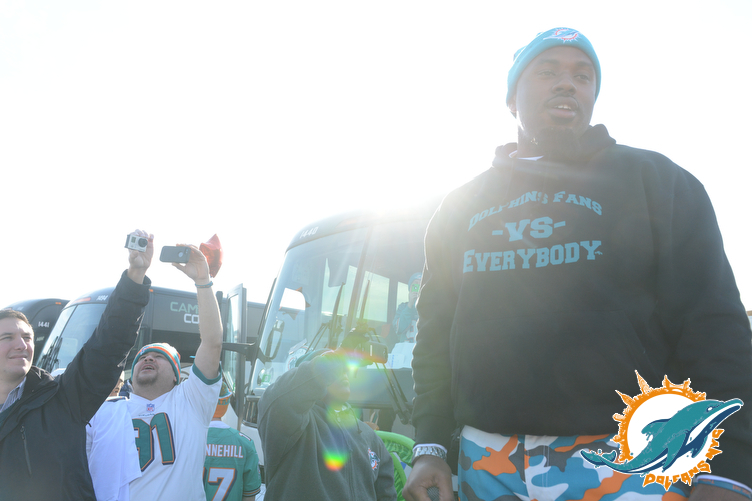 We had rapper Solo D perform a bunch of Dolphins themed songs including one he wrote for #MetLifeTakeover. 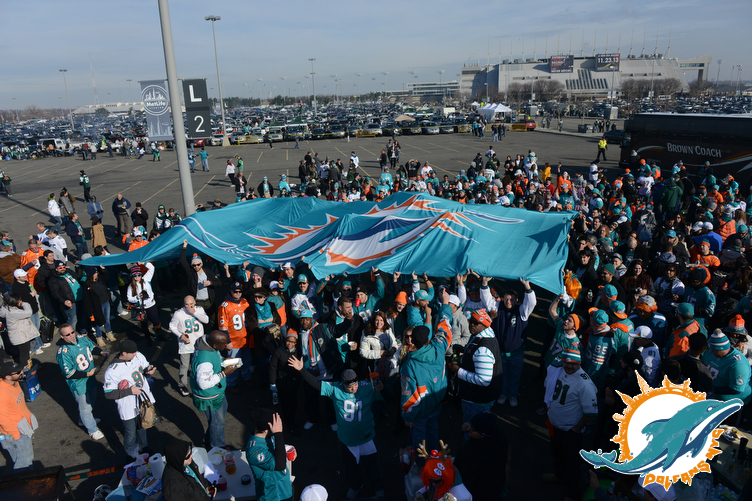 The Dolphins shipped us a MASSIVE Dolphins flag and we unfurled it in the parking lot while Solo D played. I had to climb on top of an RV to take photos. We had some guests including Dolphins CEO Tom Garfinkle, Dolphins legend Nat Moore as well as some people you have never heard of but was still pretty cool in the Dolphins world (Omar Kelly & Miko Grimes). The whole event went off perfectly thanks to my friend Michelle’s insane organizational skills and I bought a bunch of inflatable palm trees so I pulled my weight as well. After the game we got back on the four busses we chartered and headed back to our normal Sunday home (Slattery’s!) for victory drinks. I was completely exhausted but it was a day I will remember forever. 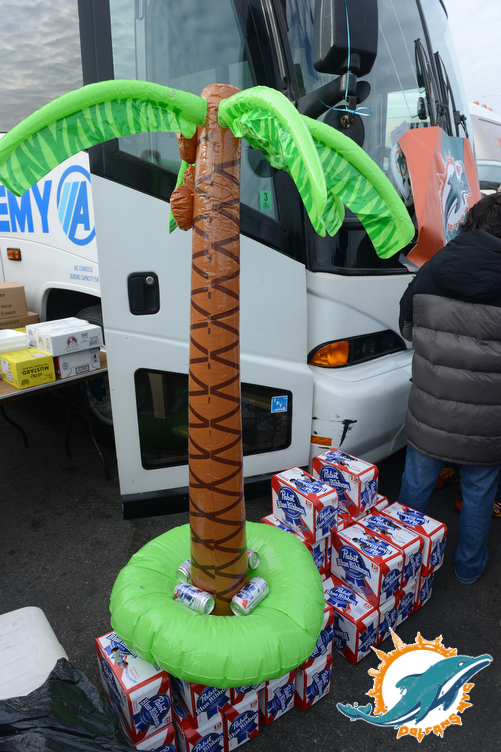 Click here to see all the photos of the Dolfans NYC #MetLifeTakeover tailgate party at the Meadowlands in New Jersey.